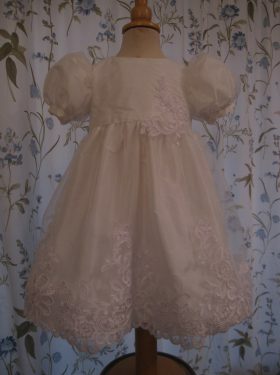 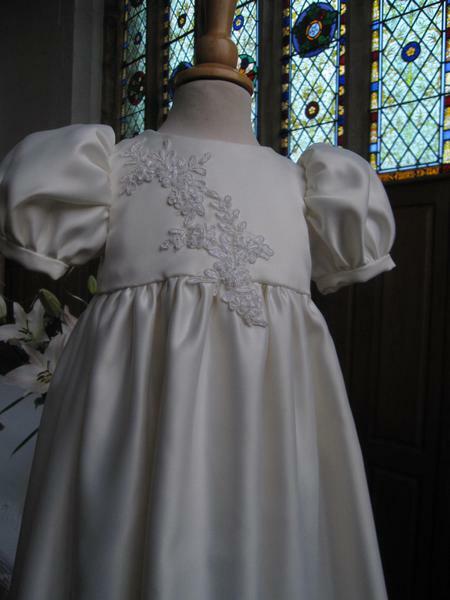 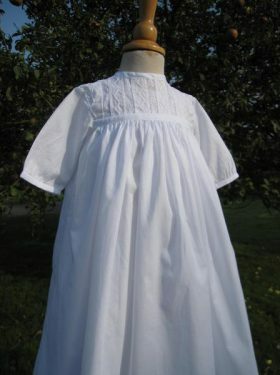 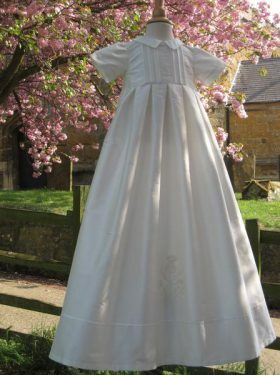 The Helen Christening Gown is a wonderful addition to the Classic range by Little Doves. 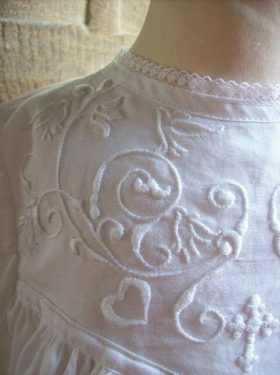 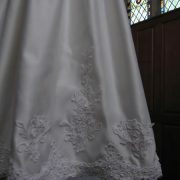 Its beauty lies in the simplicity of style, which emphasises the beauty of the appliqued lace flowers. 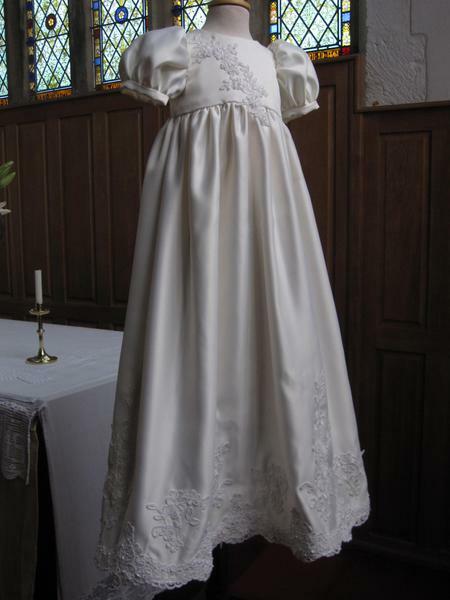 The graceful lines of the gown are perfect for showing of the corded lace hemline and decorative bodice. 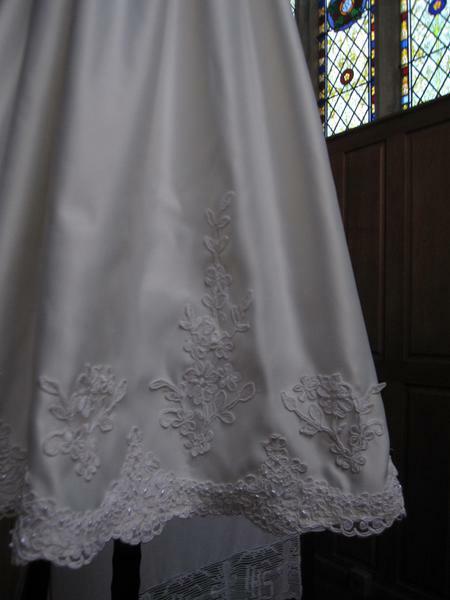 The gown featured has been created in satin as it was formed from the mother's wedding gown, but it can equally be created in silk dupion. 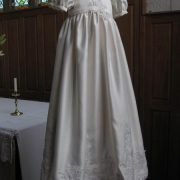 Available on white or ivory. 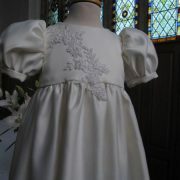 Bonnets, caps, bibs and booties are also availabe to compliment the Helen design.